Who would have thought that the remains of the once illustrious mansion would one day rise again to become one of Negros' most iconic landmark. Ah, the Ruins of Talisay. 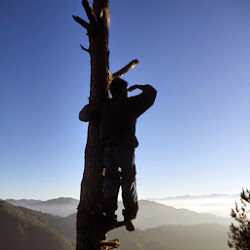 When I visited Negros Occidental, I made sure I won't miss it. The Mariano Ledesma Lacson Mansion is undoubtedly a true testament of the glorious pre-war era in Negros Occidental (thanks to the booming sugar industry in the region). 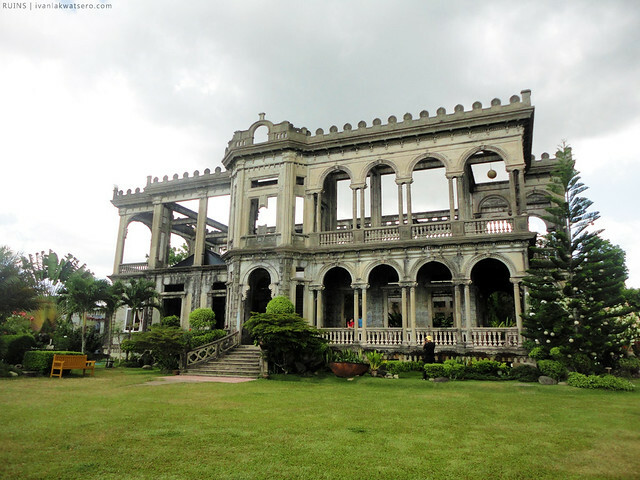 Built by the rich sugar baron Don Mariano for his wife, Maria Braga, in the early 1900's, it stood as the biggest and grandest mansion in the whole province of Negros. Accounts even tell that this edifice, inside and out, was studded with the finest and most luxurious materials and furnishings that belittled all the other buildings during its time. Came the second world war, this greatness was unfortunately short-lived. The Japs, as they came to occupy the sugarland, wanted the mansion to become their headquarters. To Don Mariano, it's unacceptable. Rather than be used by the occupiers, he chose to see the mansion burn down to ashes. Since then, only the ruins of the once glorious past remains. 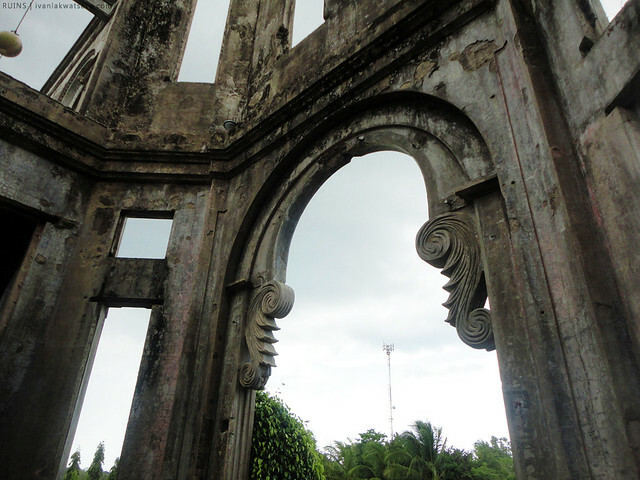 Although the mansion now lies in ruins, its magnificent past is still very evident. 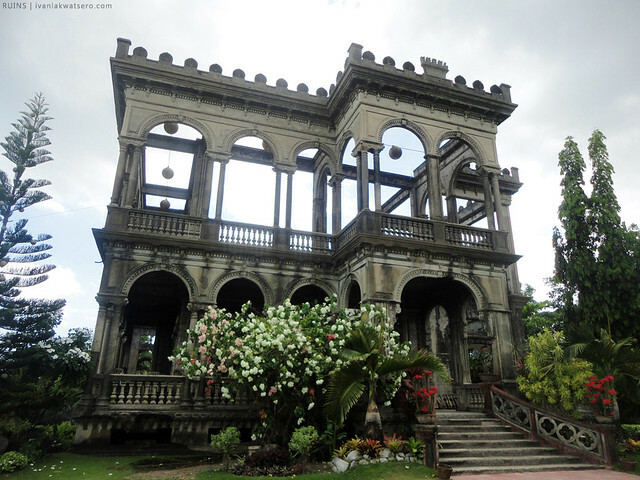 Heirs of Don Mariano decided not to restore and reuse the mansion of Talisay City but rather immortalize its beauty by turning it into one of Negros Occidental's cultural landmark. When my friends left me alone in Bacolod City (because they had to catch their early morning flight back to Manila) I decided to tour around and see the cultural treasures of the cities of Bacolod, Talisay and Silay before catching my return flight to Manila, still at around 6PM (minsan ok talaga ang kumuha ng last flight pabalik para may time pang makapag side trip). 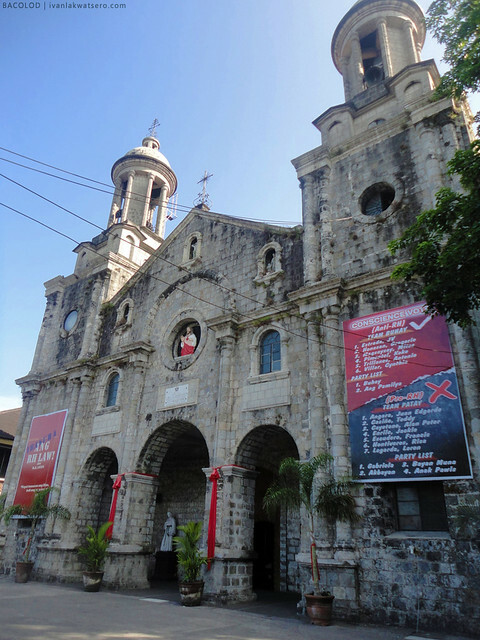 San Sebastian Cathedral (Bacolod Cathedral), somewhere near this church, I rode the jeep bound for Bata (Pepsi Cola Plant). From Bacolod City, after hoarding some Bacolod delicacies for pasalubong, I took a jeep that has Bata signboard. 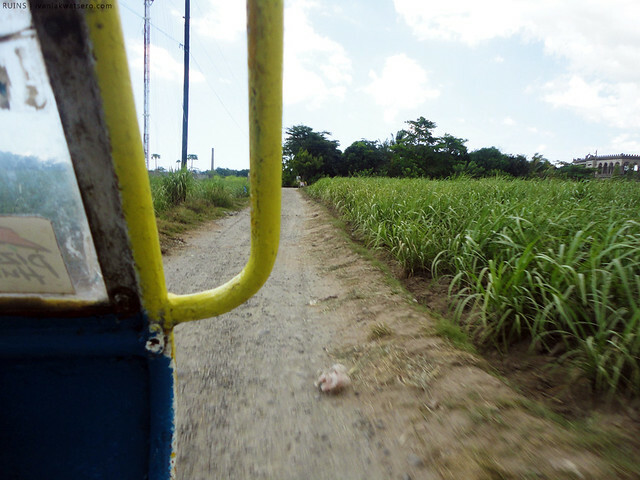 I told the driver that I intend to visit the Ruins and asked him to drop me where I can ride the trike going there (I forgot how much the fare I gave him). The ride probably took a little less than 10 minutes. I alighted the jeep when I reached the Pepsi Cola plant where tricycles await for poor kids like me who do not have a car. The Ruins lies alone in the middle of a vast sugar field, quite distant from the highway, and the road leading there wasn't paved yet (so medyo bumpy yung tricycle ride getting there). Of course there are fees that need to be paid in visiting this marvelous site. Entrance fee to the compound - Php10.00 and entrance fee to the Ruins - Php60.00 for Adult, Php40.00 for students, and Php30.00 for children. My student-looking charm did not work here so I paid the full entrance fee. Upon entering the place, my eyes almost popped out as it was truly a wonderful beautiful place. It will definitely not fail to put a guest in awe. Even if it lies in ruins, everything seemed to be very well maintained and things are arranged beautifully to attract tourists. What was left from the once luxurious mansion was the bare concrete skeleton. Now, people would see only the concrete skeleton of mansion. Only A-grade concrete could withstand days of inferno. Intricate design of the building still intact. A cafeteria and an exhibit (of old stuff) were found inside the ruined but still very beautiful structure. 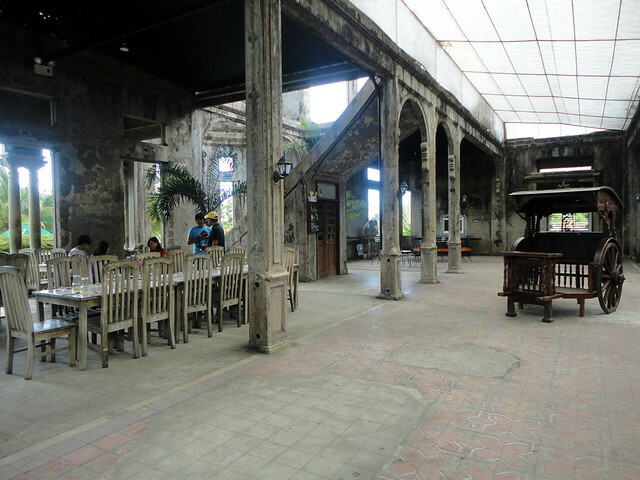 In itself, the Ruins can surely attract visitors, but since it's now a tourist trap, establishments like a cafe, a souvenir shop and a mini-golf area were established around it. 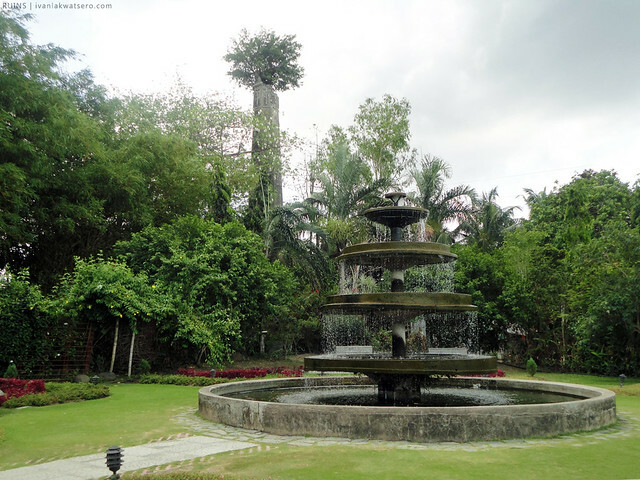 landscaped beautifully, the lawn has a fountain, wide open well-trimmed grassy spaces and colorful ornamental plants. While I am very much happy with the current state the Ruins, still, it would've been great to see the mansion back to its former glory. After spending some time capturing the magnificence of The Ruins in my camera, I left the place to move on to my next destination. I wish I had more time to spend in this place. Next time, I'll stay longer and try the food in their cafe perhaps. 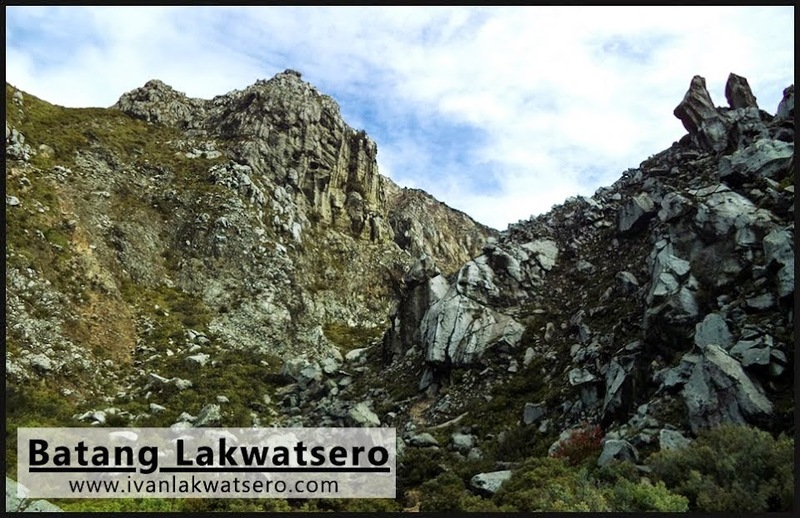 ayos sa olrayt ang ruins at talaga namang sa gitna pa ng tubuhan. kelan ba binuilt yang masion na yan? Great article Ivan, very well-written. I just wondered what happened to Don Mariano and his family after the great fire succumbed the mansion. Did the Japs burned it? Or Don Mariano did itself so that the Japs can't make use of the mansion? According to accounts, it was Don Mariano himself who ordered the mansion be burned. Not really sure where he and his family fled during the 2nd world war. As what I've heard, it was the Americans who informed Don Mariano about the Japanese who wanted to occupy the Mansion. So Don Mariano decided to burn it down rather than seeing the Japanese occupying it. Good thing his daughter, Mercedes took care of it. The Javellana family runs it now. I guess? One of Mercedes's grandchild. Thanks Ivan! See you soon in the trail.